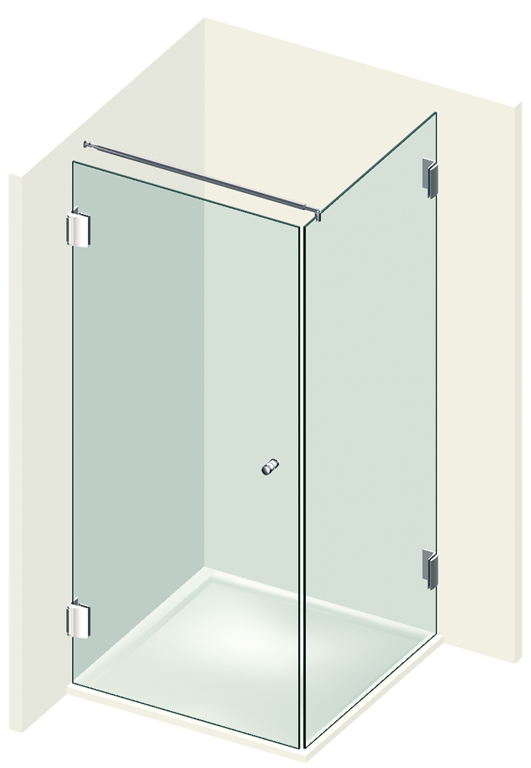 Corner shower with one door and one side panel glass. 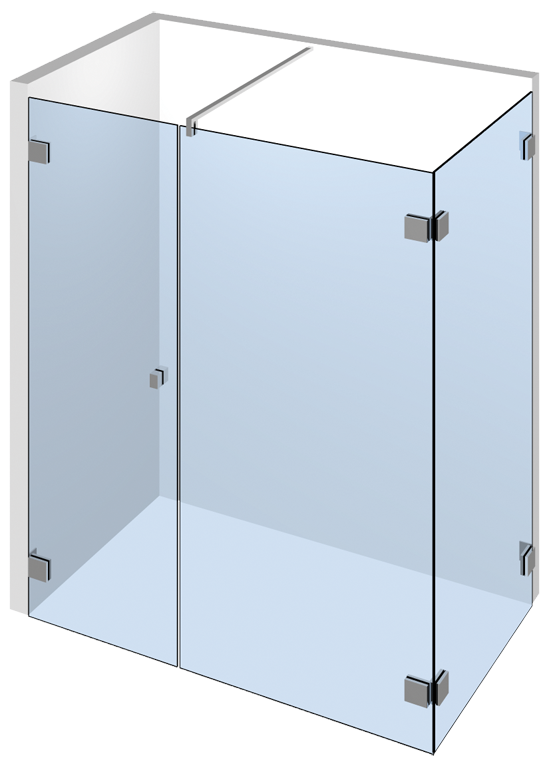 Corner shower with one door, one side panel glass and one fixed glass. 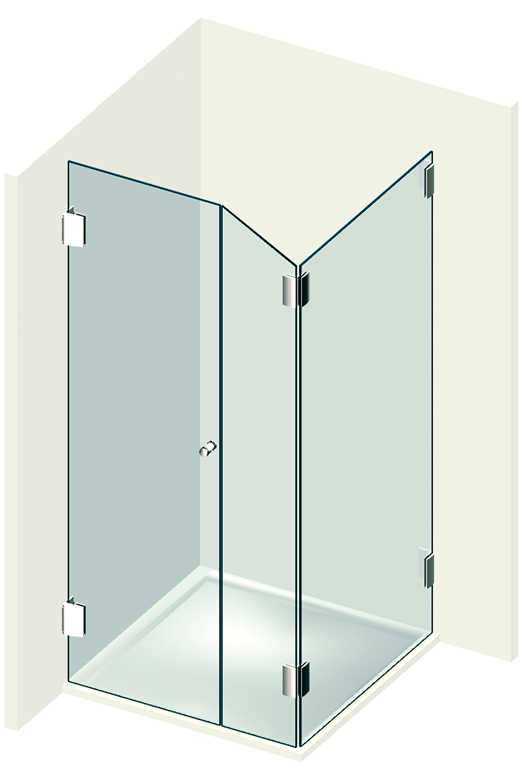 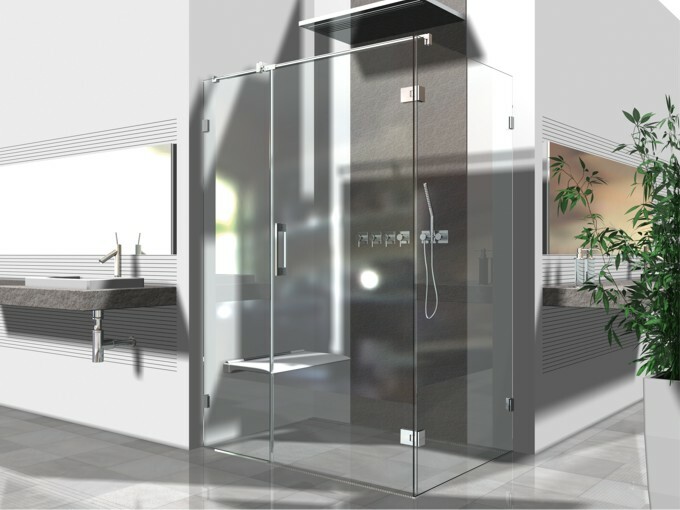 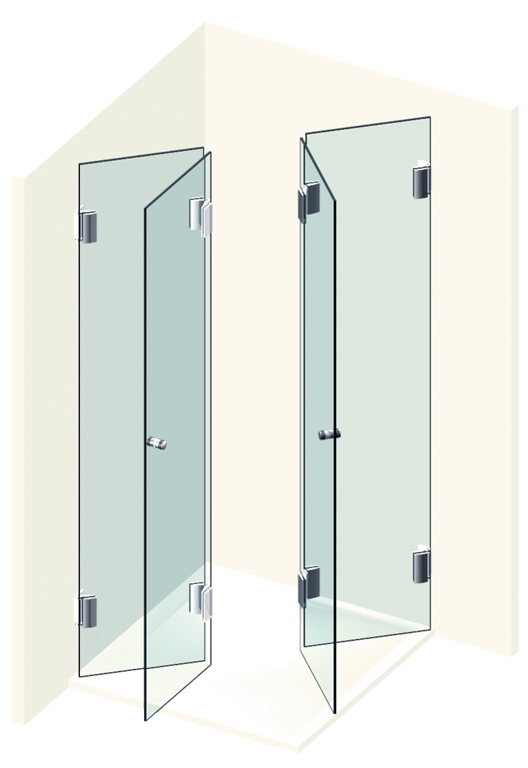 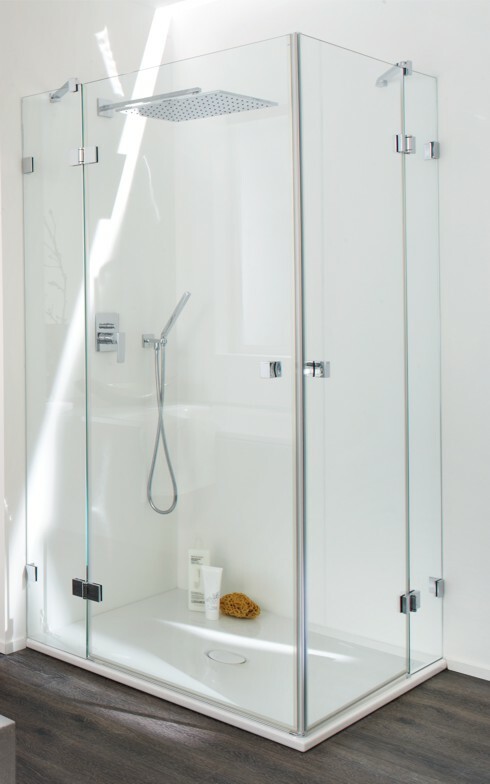 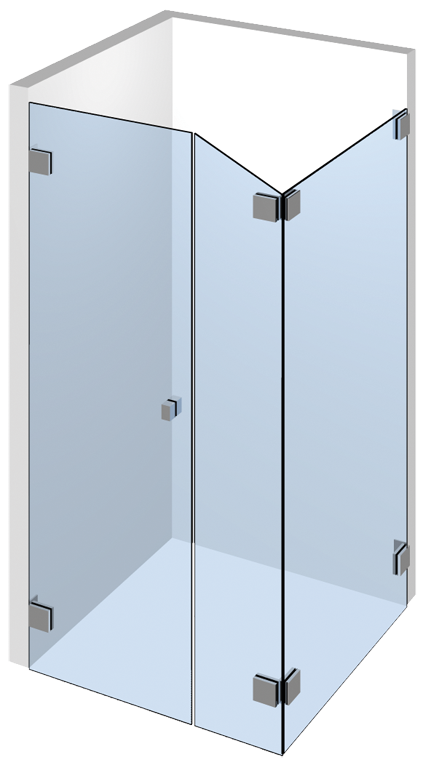 Corner shower with one door, one short side panel glass and one fixed glass with angular edge. 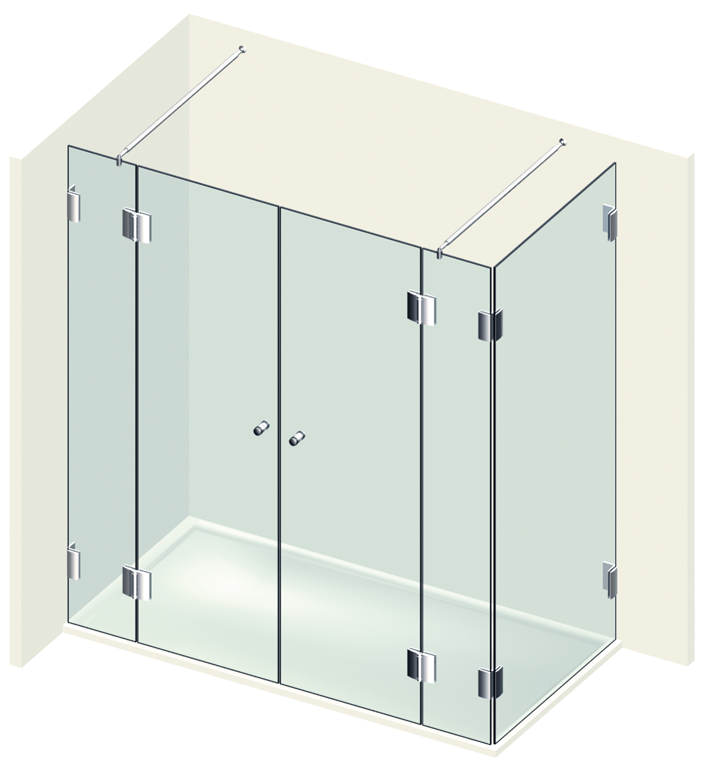 Corner shower with one door, one side panel glass and two fixed glasses. 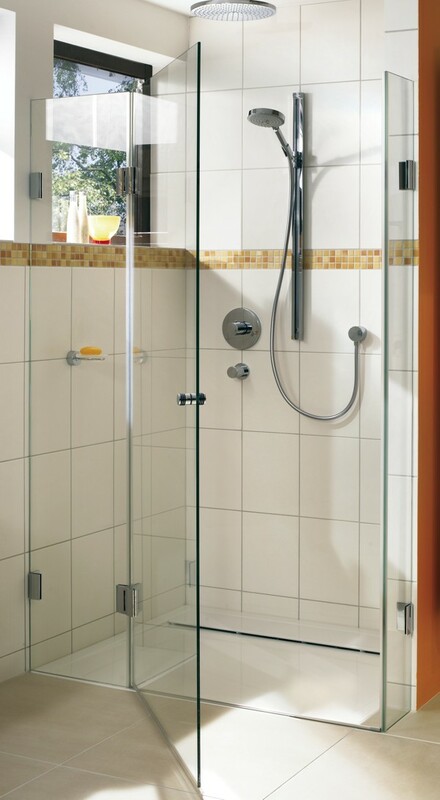 Corner shower with two doors and two fixed glasses. 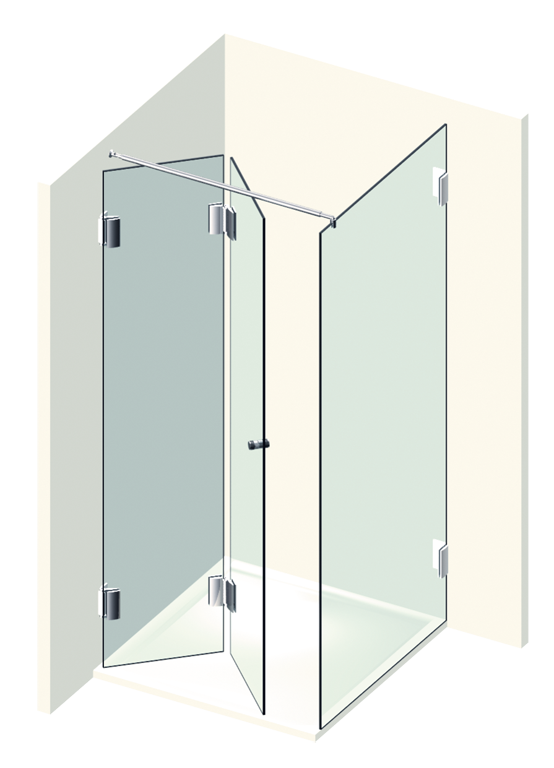 Corner shower with two doors and one side panel glass. 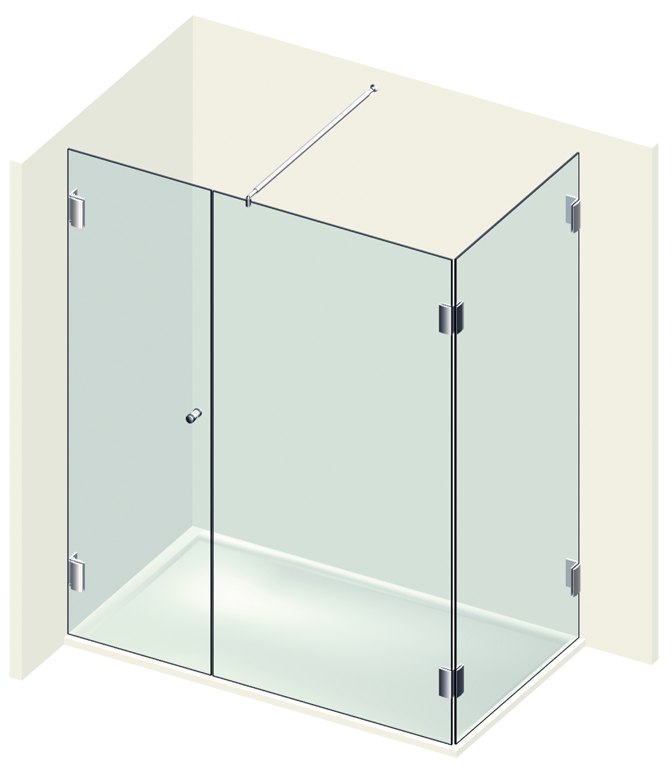 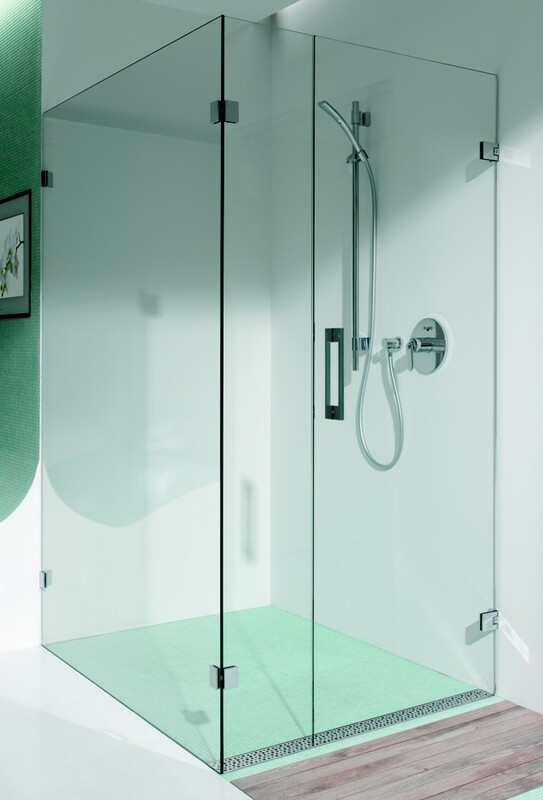 Corner shower with two doors, two fixed glass plates and one side panel glass. 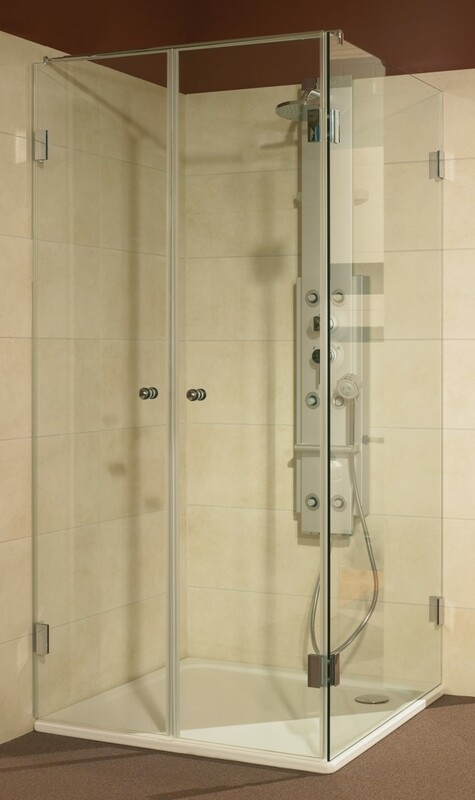 Corner shower with four folding doors.